Need a reason to get excited about doing laundry? 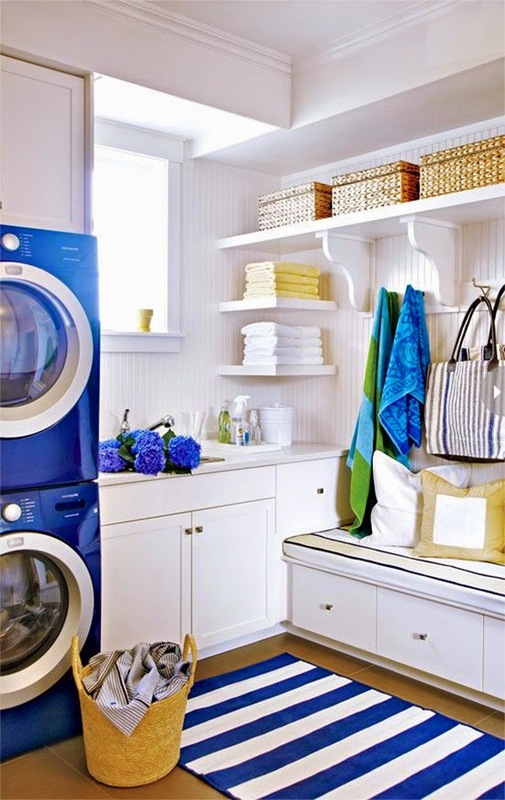 How about a chic and spacious laundry room! 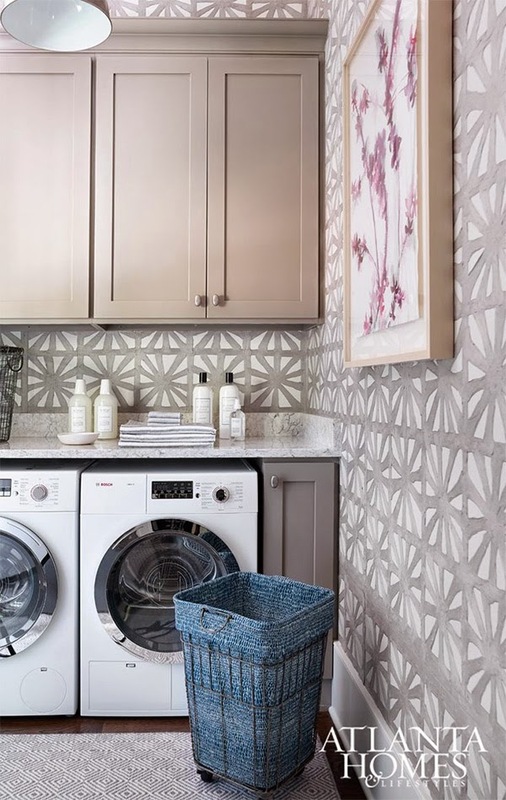 These laundry rooms help me to remember that doing laundry can be luxurious, or at least a pleasant experience, if you’re in the right setting and using the right tools! 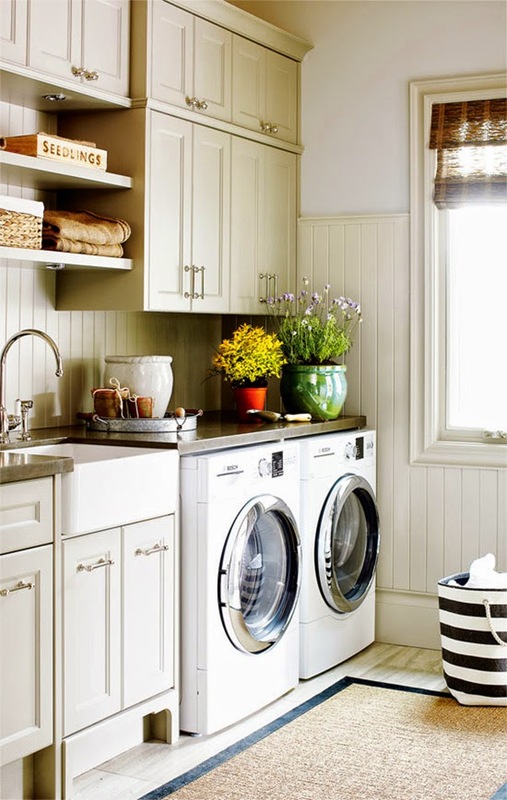 A well-designed laundry room along with luxurious laundry detergent and top of the line fabric softener will do the trick! 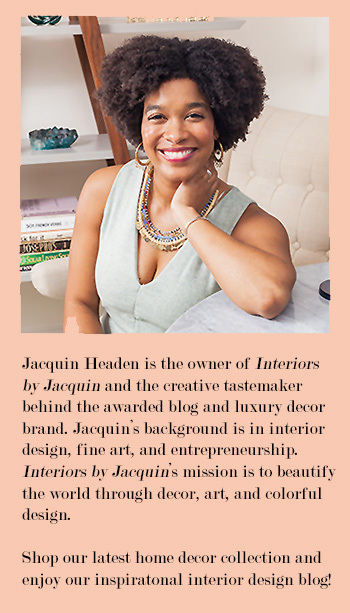 The wallpaper in this Atlanta Homes feature is just stunning! Giving yourself something pretty to look at while working on laundry will help you in your enjoyment of laundry tasks. If you live in a space where wallpaper isn’t feasible, you can always bring in wall art, photos and colorful plants to transform your laundry room into a pleasant oasis to get things done in. 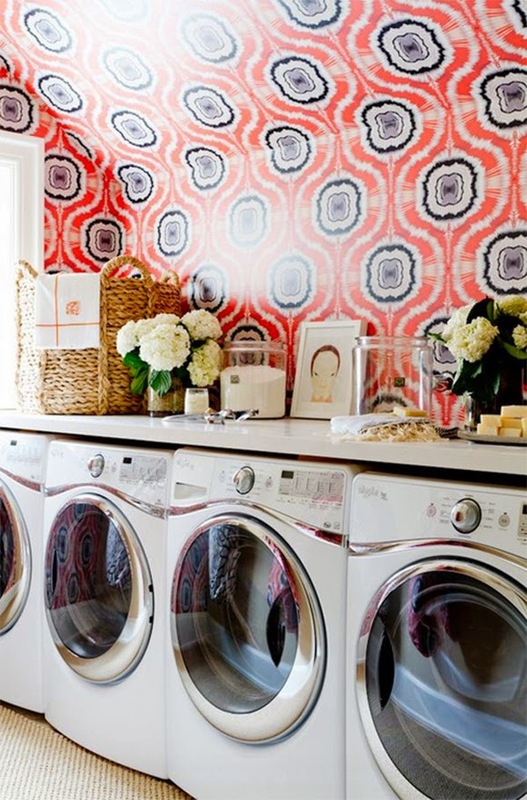 I love the colors in this vibrant laundry room! This would definitely be a boost when pushing through that last load. I would definitely consider a fun, graphic wallpaper in my laundry room. 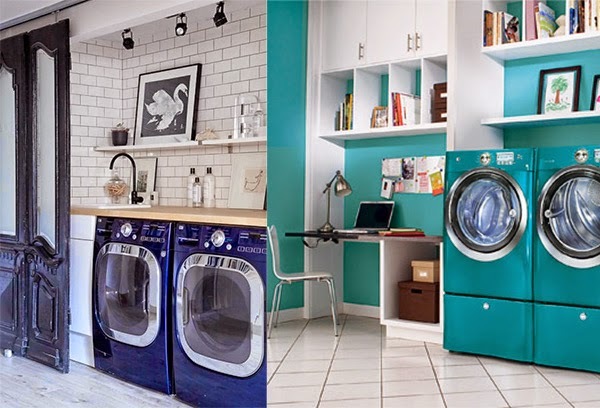 You can’t go wrong with a colorful washer and dryer! So many bright options are available now. Opting out of the standard white washer and dryer set and going with a bold pop of color will likely be a welcome change to your laundry routine. A clean, neutral laundry room featuring the natural beauty of plants and flowers will also add a bit of life to your laundry space. This is an easy addition we can all make, and I bet it will make a difference!